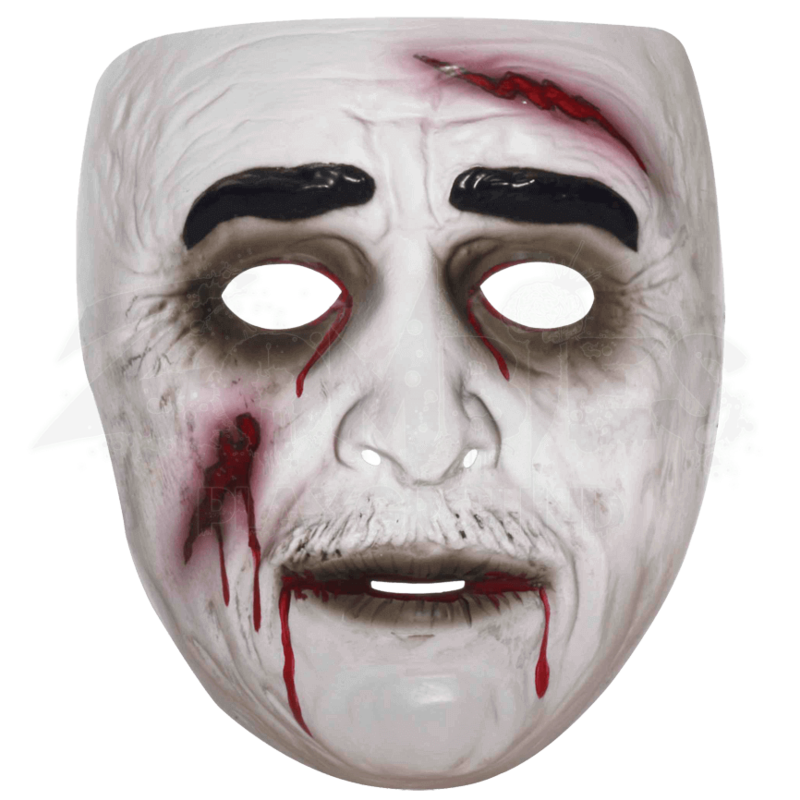 To create that perfect sense of undead apathy, turn to a great mask like the Transparent Male Zombie Mask to disguise your emotions and give you the appearance of the walking dead, complete with dripping blood and ripped sections of flesh. This face mask is worn over your face via a thin strap that attaches to either side of the mask and wraps around the back of your head. The mask distorts your own appearance, making you all the more difficult to recognize, while adding a few disturbing zombie accents, including a sickly and wrinkled appearance, ripped flesh across the forehead and cheek, tears of blood that drip from the eyes, and rivulets of blood that drip from each side of the mouth. Whenever you don the Transparent Male Zombie Mask, you will be well on your way to transforming yourself in a zombie that only acknowledges one feeling, and that feeling is hunger.